Ringed seals rest by breathing holes over the sea ice. Chukchi Sea, Arctic Ocean. Erik Grafe is the lead Earthjustice attorney on this lawsuit to defend the Arctic Ocean. In a ruling issued from Anchorage on Mar. 29, a U.S. District Court determined that President Trump overstepped his constitutional authority and violated federal law. The decision struck down Trump’s attempt to undo a ban on oil and gas drilling in the vast majority of the Arctic Ocean and important areas of the Atlantic Ocean. It immediately restores permanent protections from drilling in those areas. It also prevents the imminent leasing of these sensitive areas to polluting fossil fuel corporations. This decision is an extraordinary victory not only for the groups on whose behalf Earthjustice filed the lawsuit in 2017, but also for the majority of Americans who support permanent protections of the Arctic and Atlantic Oceans from oil and gas drilling. Earthjustice's Erik Grafe explains the ruling’s broad implications for people, wildlife, and the climate. Erik Grafe, the lead Earthjustice attorney on the lawsuit, explains the ruling’s broad implications. The judge determined Trump exceeded his authority. How does this victory put safeguards around the power of the presidency? This is a case where the president was acting outside of the bounds of law — he simply didn’t have the authority to do what he did. It’s the president usurping power from another branch. This opinion demonstrates that we remain a nation of laws. It shows that even the president isn’t above the law. Since day one, President Trump has been running roughshod over the law to try to turn America’s public lands into gas stations. But his lawlessness is catching up with him. The courts are holding him to account. Also, this case reaffirms the checks and balances of power between the legislative, executive, and judicial branches. It upholds the bedrock principle that says the Constitution allocates power among the different branches of government. Under the Constitution, Article IV grants Congress the power to manage and dispose of public lands, including the outer continental shelf. Congress can delegate some of that power to the president. It did so in Section 12(a) of the Outer Continental Shelf Lands Act, the law that President Obama used to enact the ban. That section provides that the president may protect areas of the ocean. It is silent as to reversing those protections. Because, as the court reiterated, “the President’s authority to dispose of outer continental shelf lands can arise only by delegation from Congress,” President Trump lacked the power to undo those protections. Period. The court determined that under the Separation of Powers principle, President Trump’s attempt to undo or revoke President Obama’s withdrawal was beyond his power and violated the Constitution as a result. How does this case compare to others that Trump has lost recently? This case puts a full stop on the president’s power. Presidents simply lack the authority to undo unilaterally public lands protections that are put in place by prior presidents under Section 12(a) of the Outer Continental Shelf Lands Act. The court’s decision is relevant to other fights against President Trump’s attempts to destroy public lands. For example, it gives a boost to our cases protecting Bears Ears and Grand Staircase-Escalante national monuments. Under the Antiquities Act, Congress granted the president the authority to protect areas as national monuments. President Trump has tried to revoke these protections. This offshore decision affirms a basic principle applicable in these national monument cases: Congress sets rules for public lands and waters, and its delegation of a power to protect does not automatically include the power to undo protections. How does this victory fit into long-running national debates over drilling in America’s Arctic? Earthjustice has been advocating to hold the line against drilling in the Arctic for more than a decade. The court’s decision is a testament to the longstanding commitment we’ve had with our partners, coalition members, and supporters to protecting this truly unique and special place. We’ve come a long way. Over a decade ago, we were holding the line against efforts by the George W. Bush administration to fast-track Arctic offshore drilling and leasing. One of our first lawsuits was against Shell Oil and its plans to drill there. Shell’s plan was terrible, dangerous, and in an area critical for migrating whales and calves. We and our allies ended up stopping the whole thing at the last second. As Shell was bringing its ships up to the Arctic, we got an injunction from the Ninth Circuit, and Shell ended up scrapping its program altogether for years. During the Obama years, the dangers of offshore drilling became increasingly clear through the tragic Gulf of Mexico oil spill of 2010, Shell’s bungled and nearly catastrophic attempts to drill in the Arctic Ocean, and the worldwide scientific recognition that expanding fossil fuel development is a road to climate disaster. We, our partners, and the public went from holding the line against reckless offshore drilling projects to being able to convince the Obama administration that Arctic drilling should be a thing of the past. As one of his greatest acts of conservation, Obama put in place a permanent drilling ban that protected 98 percent of the Arctic Ocean and deep-sea canyon areas in the Atlantic. This court case represents a successful defense of that key legacy. 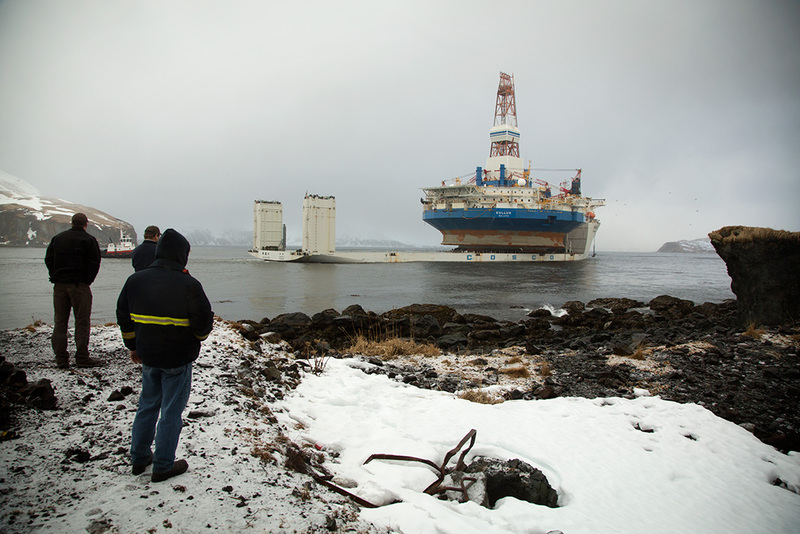 Shell Oil's drillship Kulluk is towed out of Alaska on Mar. 26, 2013, after the unit ran aground on Sitkalidak Island. Are these places in the Arctic and Atlantic Oceans now completely off-limits to drilling? Yes. Obama used his authority to withdraw those areas permanently from oil and gas leasing. Trump alone cannot undo the protections. The current administration cannot hold lease sales in these areas. It makes sense that Congress gave only the power to protect to the president, because once you drill in these places, there is no turning back. Congress reserved only for itself the power to revisit these protections once they are in place. 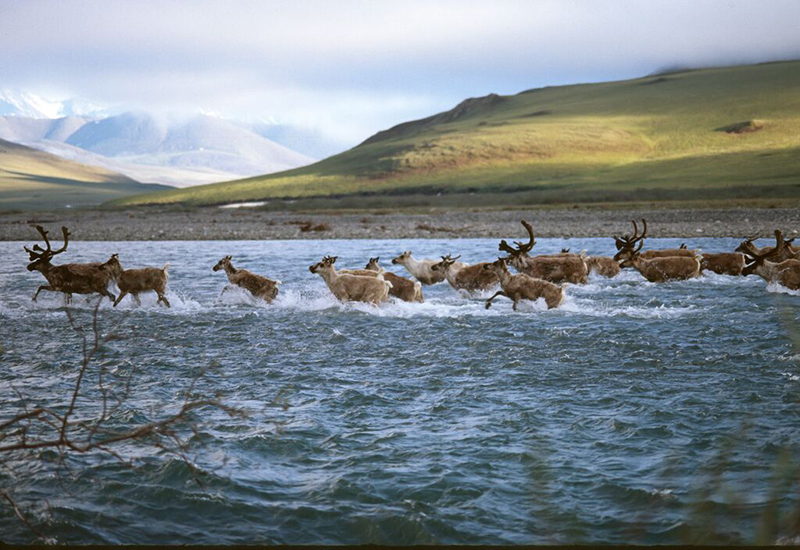 A porcupine caribou herd crosses Kongakut River in the Arctic National Wildlife Refuge. 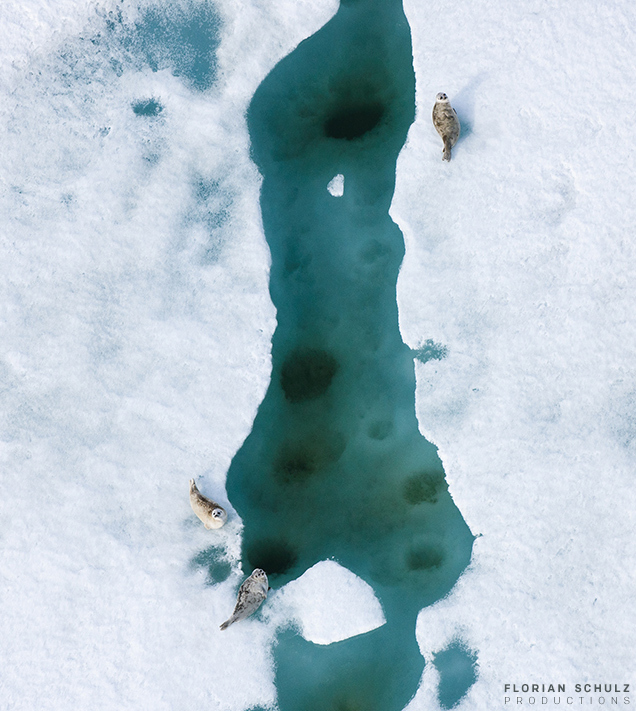 Does this ruling affect Earthjustice’s additional work in the Arctic? The Trump administration has put a big bullseye on every area of America’s Arctic, from the ocean to the Western Arctic to the Arctic National Wildlife Refuge. The ocean and land in the Arctic are intimately connected. Wildlife such as caribou and birds migrate all across the Arctic, fish swim from rivers to the ocean and back, walrus use coastal areas and feeding grounds far out to sea. What happens in one part of the Arctic affects all other parts. 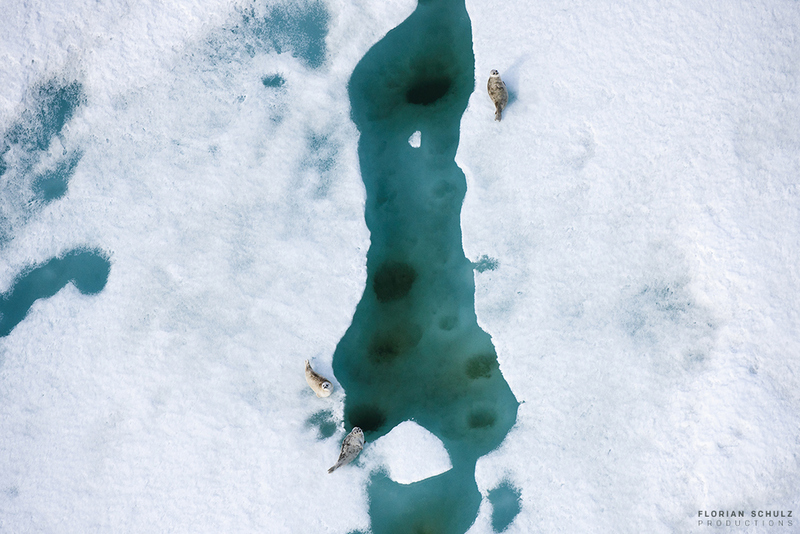 Protecting the ocean from offshore drilling benefits all of the Arctic. This victory also validates the values that underlay President Obama’s ocean withdrawals. Obama had the foresight to withdraw the Arctic Ocean from oil and gas drilling both to protect the sensitive and irreplaceable region from the potential of catastrophic spills and other industrial pollution and to protect our climate. He determined there are some places that are too precious to drill, particularly at a time when we urgently need to be transitioning off fossil fuels. The same goes for the Western Arctic and the Refuge. These places are irreplaceable ecosystems, already under severe stress from climate change, that shouldn’t be consigned to energy policies of the past that would sacrifice our last wild places for a dirty and dangerous energy source. The law makes change. Join us as we make that change. Because the earth needs a good lawyer. How does this ruling move us in the right direction on climate? If all known fossil fuel reserves are extracted and burned — let alone additional, undiscovered reserves like those in the Arctic and Atlantic oceans — we’ll cross the 1.5 degree Celsius threshold that scientists have said we need to stay under in order to avert the worst impacts of climate change. Scientists warn we have very little time to tackle the climate crisis or risk a global catastrophe. In addition, the pristine areas in the Arctic Ocean are extremely remote. It would take many years and billions of dollars in infrastructure investment to get this off the ground, even if it could be done safely. Given that we need to get to zero carbon emissions and 100 percent clean energy quickly, the Arctic Ocean's oil is not a wise investment for our future. It just makes no sense. By setting these areas aside from oil drilling, keeping the Arctic Ocean climate bomb in the ground, President Obama’s order conforms to the reality of our situation and gives us a better chance at addressing the problem. The law of the land today is that the vast majority of the Arctic Ocean and important Atlantic marine canyons are protected from oil and gas drilling. We believe that the judge issued a careful, thorough decision. The court got it right. 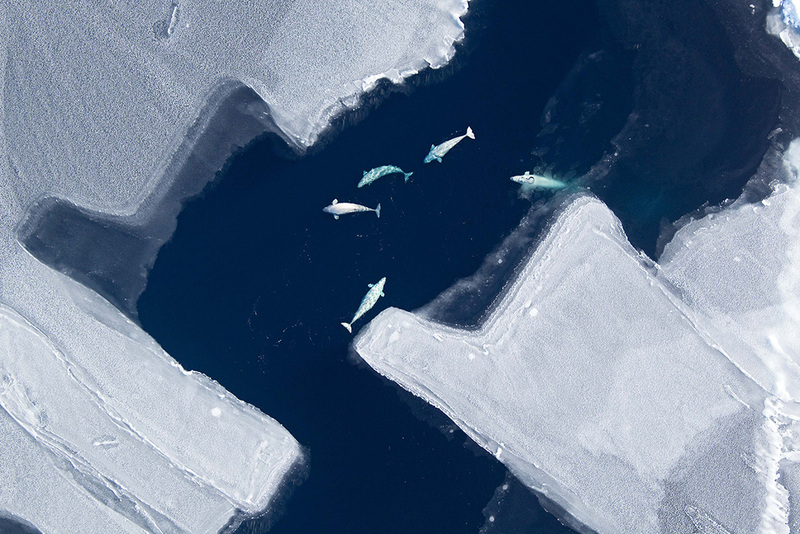 A pod of Beluga whales (Delphinapterus leucas) in the Chukchi Sea of the Arctic Ocean. Erik Grafe is a staff attorney based in Anchorage. Since 2007, he has worked with conservation and native groups to defend the Arctic Ocean from attempts by oil companies and the federal government to open new offshore oil and gas operations in the Beaufort and Chukchi Seas. Established in 1978, our attorneys in the Alaska regional office are based in Juneau and Anchorage. Their legal work safeguards public lands and wildlife from destructive oil and gas drilling, mining and logging, and protects the region's marine and coastal ecosystems. Erik Grafe spoke with Jessica A. Knoblauch, senior staff writer at Earthjustice.